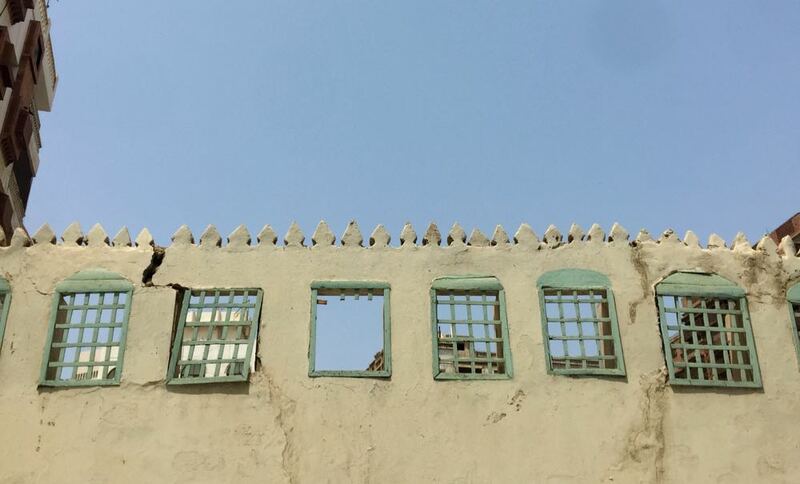 Sami Nawar, the head of the municipality in Al Balad, Jeddah’s old town, stands on top of a roof in the middle of the neighbourhood, looking out over the rooftops. It’s near sunset, and the maghrib prayer will start at any time. 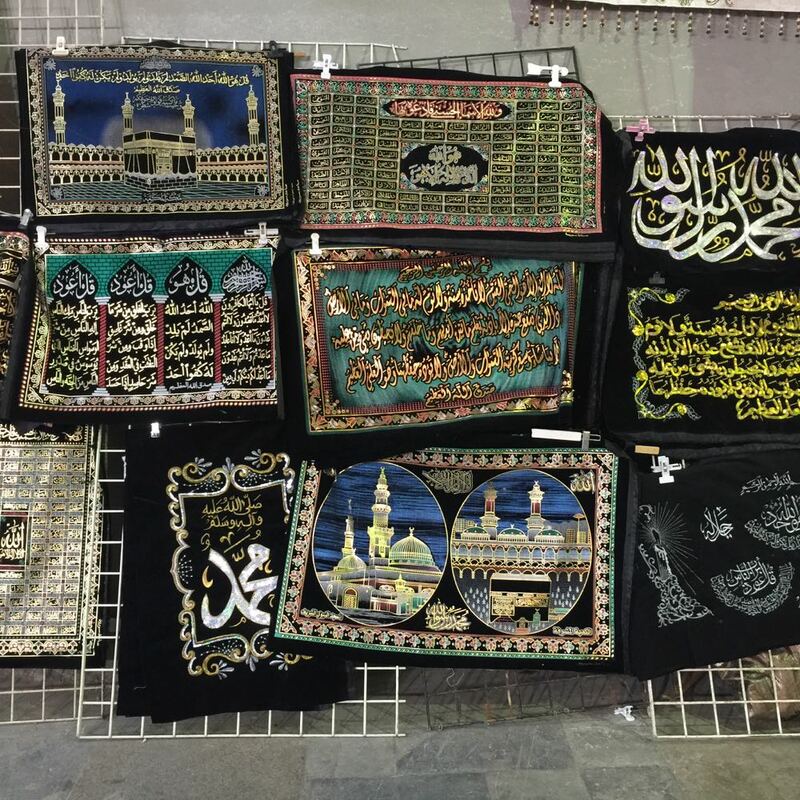 People on the streets below are starting to close their shops – in Saudi Arabia, each time there’s prayer, all shops and offices must close – and put out prayer mats on the ground. Five times a day this scene takes place, each time the muezzins’ calls start to sound. 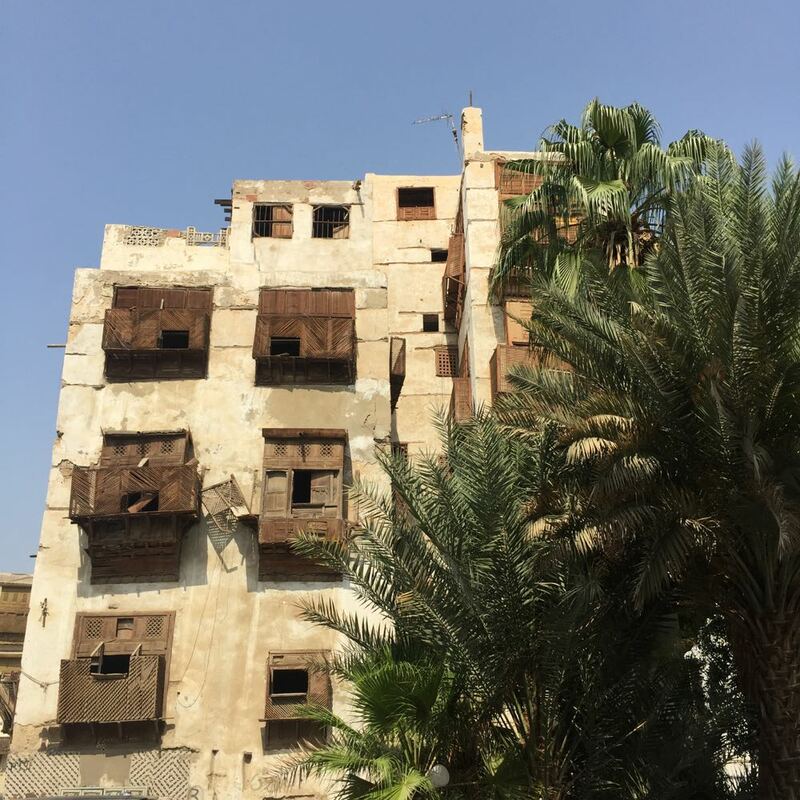 When they sound, from up here on top of what until the 1970s was Jeddah’s highest building, it seems like you are transformer to another world – a place of presence and devotion, almost beyond the realness of time. True, Al Balad is another world. 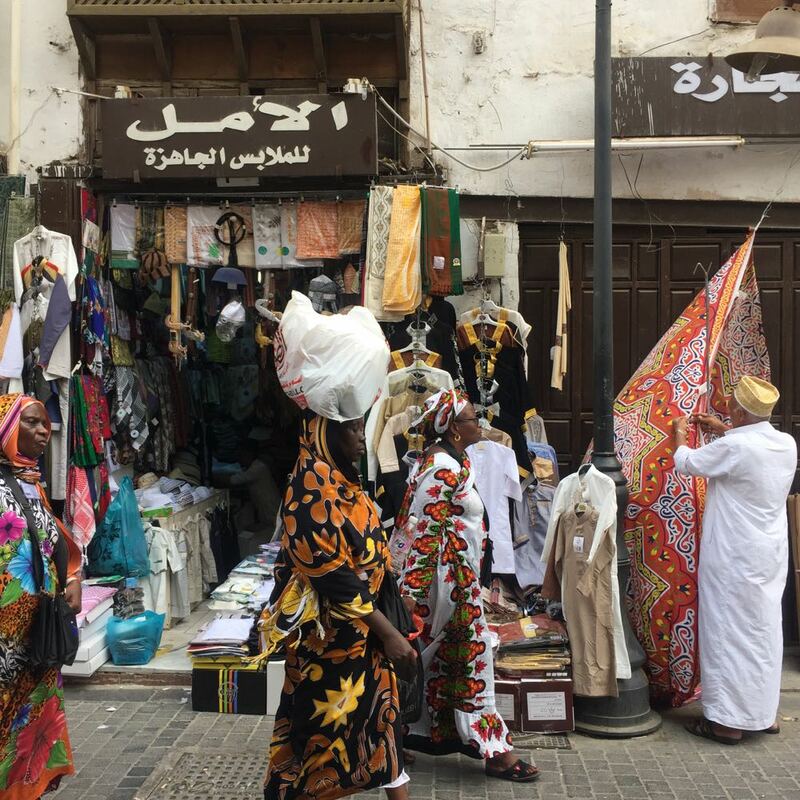 Or, the remnants of another world – it is Jeddah’s historical parts, dating back originally to the 600s but taking the architectural form it has today between the 16th and 20th centuries. 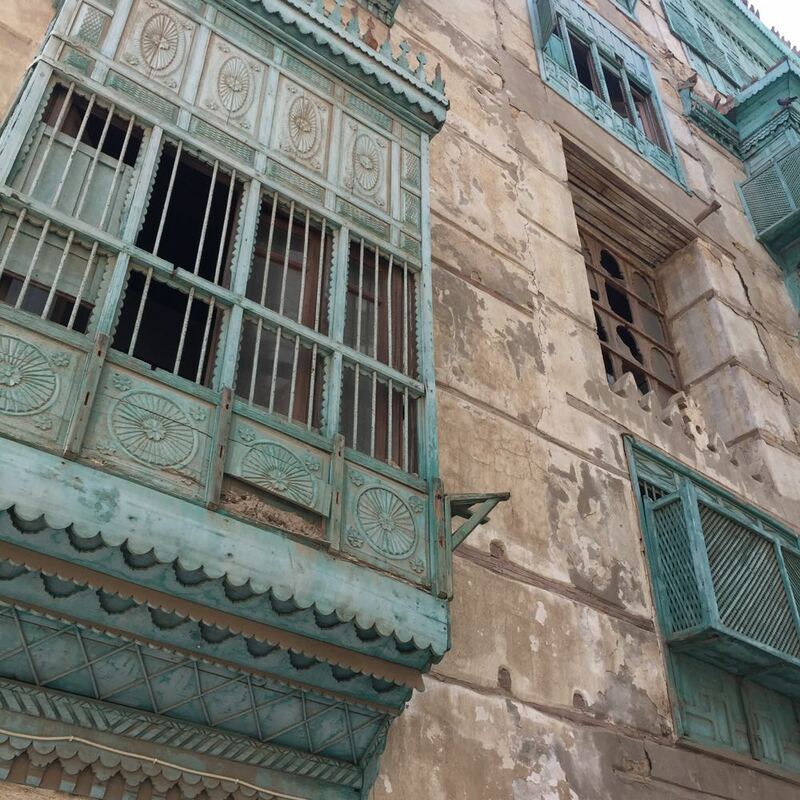 This is when the fascinating and carefully decorated buildings were constructed, from coral and limestone taken from the reefs outside the city and wood imported to Jeddah from India and Africa. The coral and limestone made solid, heavy structures, with a matte white colour. To fortify them, craftspeople used heavy timber, and laid planks and logs horizonatally to help carry the load. 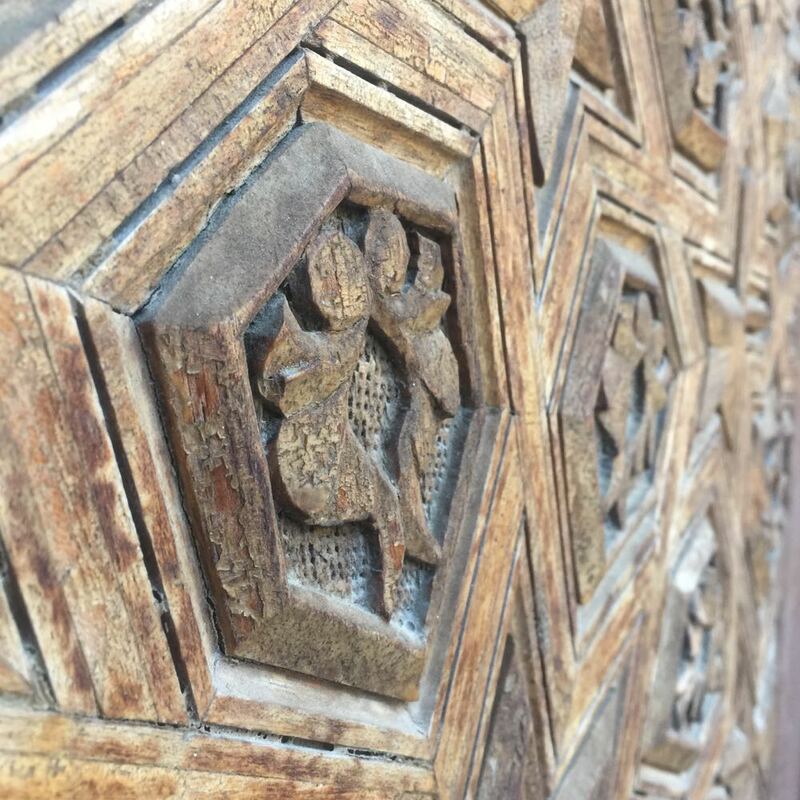 But the most extraordinary, and singularly most beautiful, part of Al Balad is its wooden decorations – rawasheen and mashrabiyat, wooden window shutters and balconies, carved and ornated by hand. 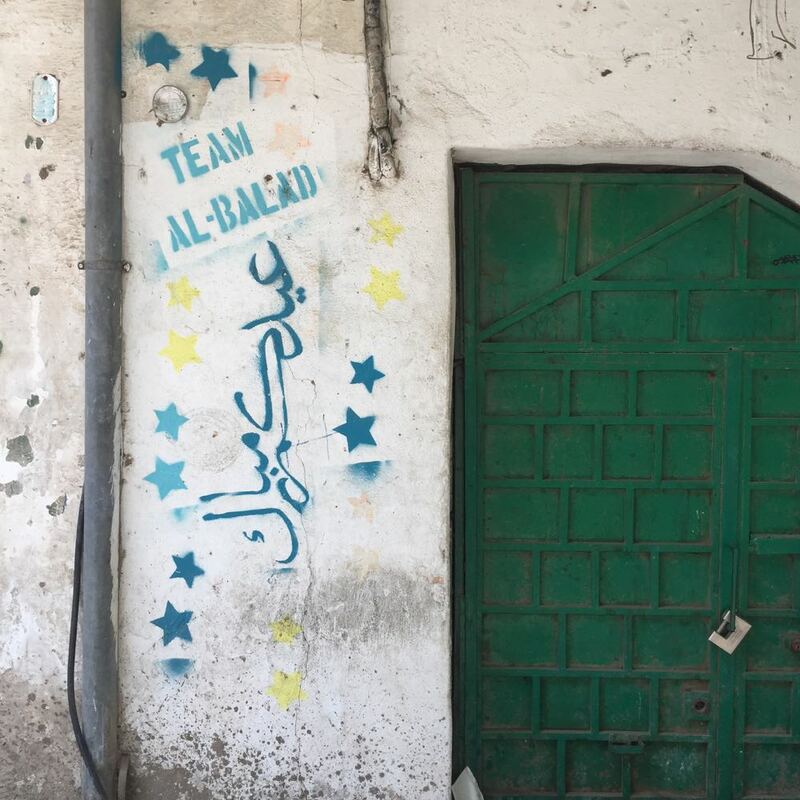 I spent time in Al Balad in October, as part of a project I’m working as editor for at the moment, called Atharna. 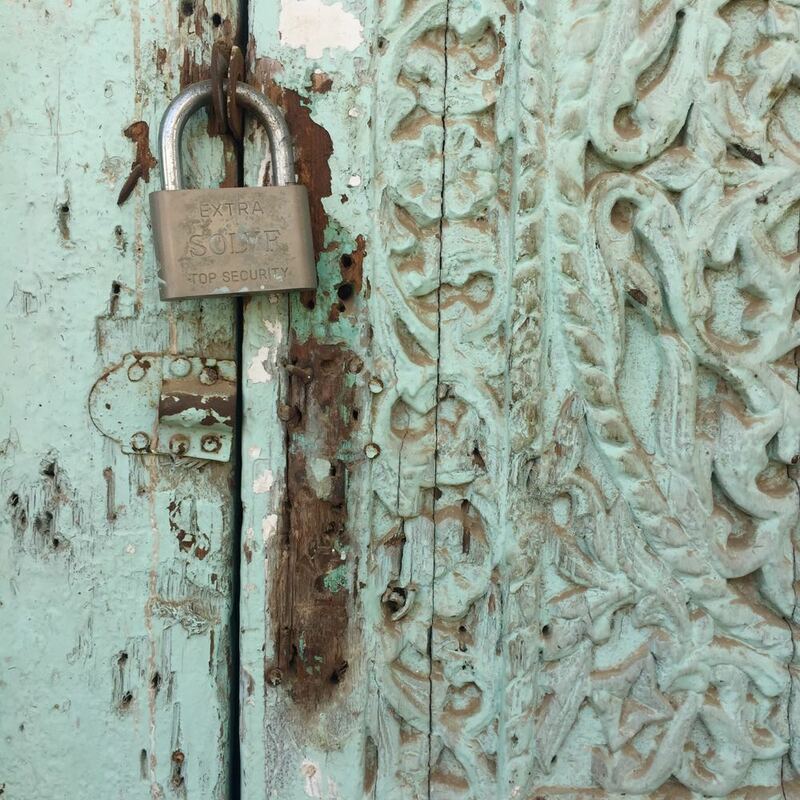 It’s a great and ambitious project, to create a rich online archive documenting Middle Eastern crafts and heritage. 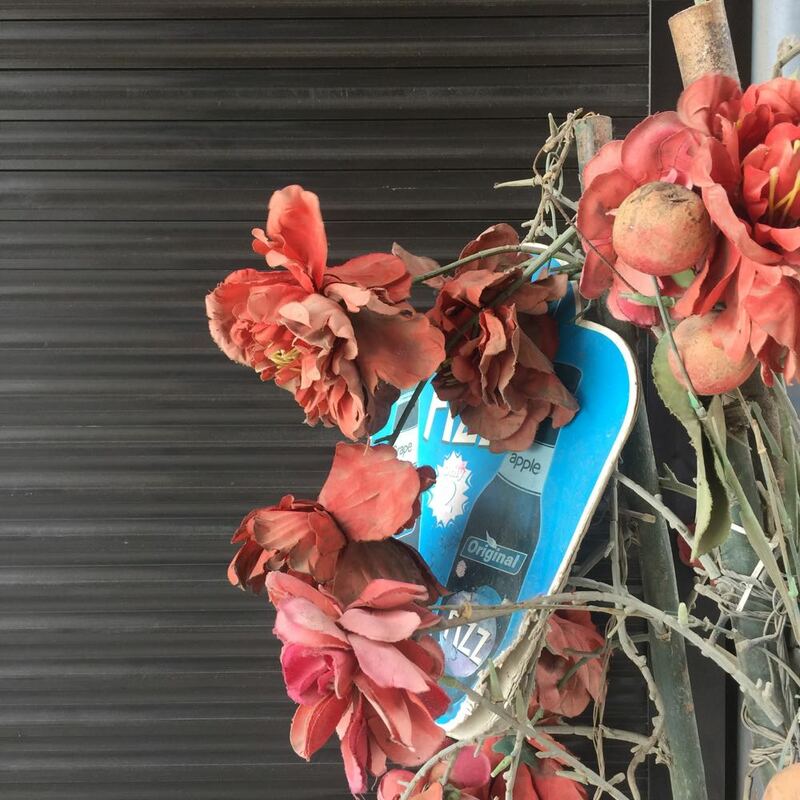 We’re portraying all kinds of crafts from across the region – Omani boat building, oud making, sung poetry from the Emirates and olive oil soap production in Palestine. Weaving and embroidery, copper work and food traditions. 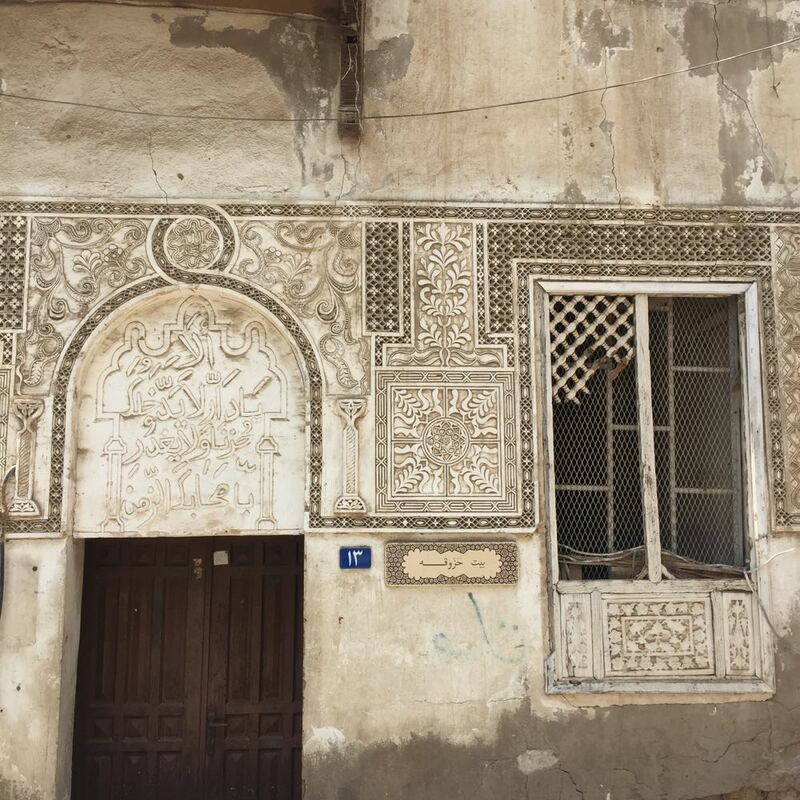 Ten of the crafts on our list are from Saudi Arabia, including the architecture of Al Balad, and documenting them is what brought me there. 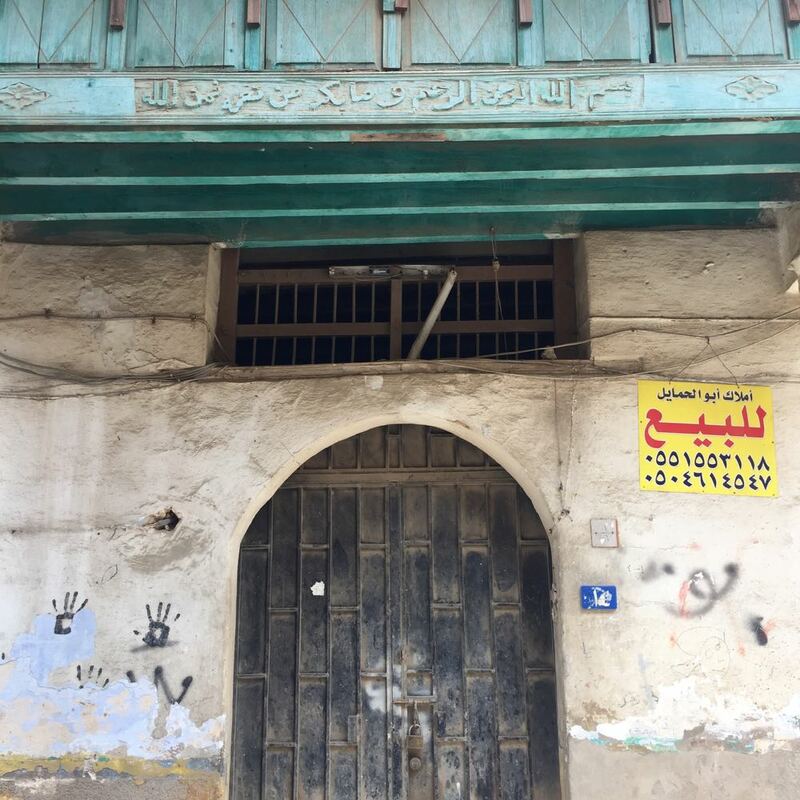 In history, the neighbourhood was home to rich elite merchant families – Jeddah was always an important port, not least after the opening of the Suez Canal, when it became a main stop on the travel routes from Africa and India to the Mediterranean. 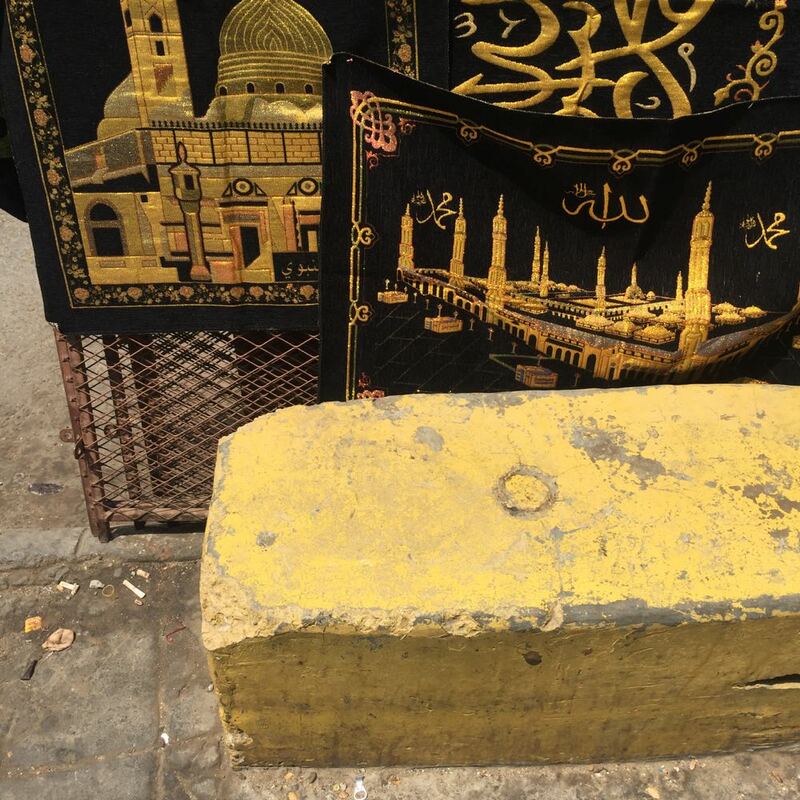 It was and is also the gateway to Mecca, even though today hajj pilgrims arrive by plane and often barely touch down at Jeddah’s airport before continuing to the holy city. In the past, they often arrived with boat, and entered Al Balad as soon as they stepped ashore. 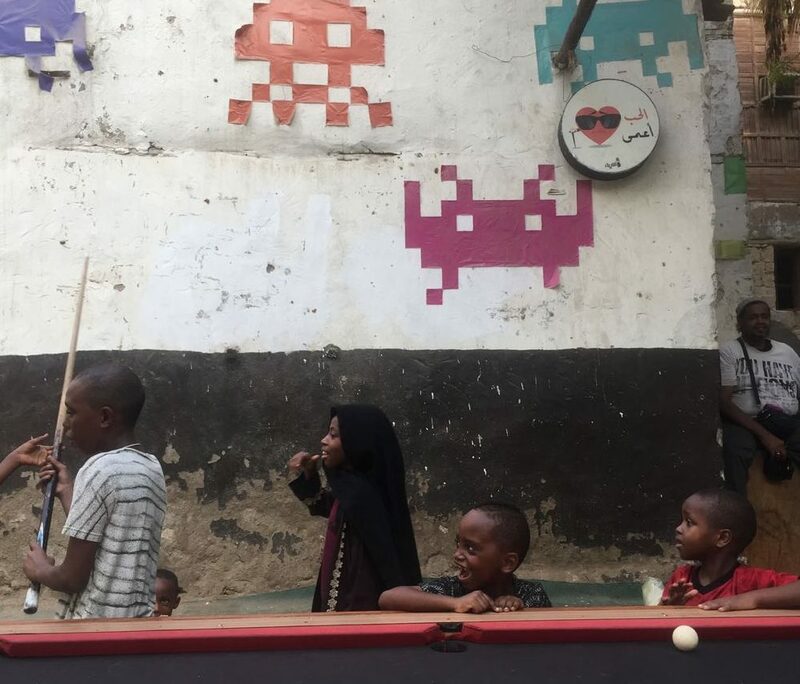 Al Balad today is still a cosmopolitan place, with a rich and diverse population. What has changed, though is that most Saudis have moved out. 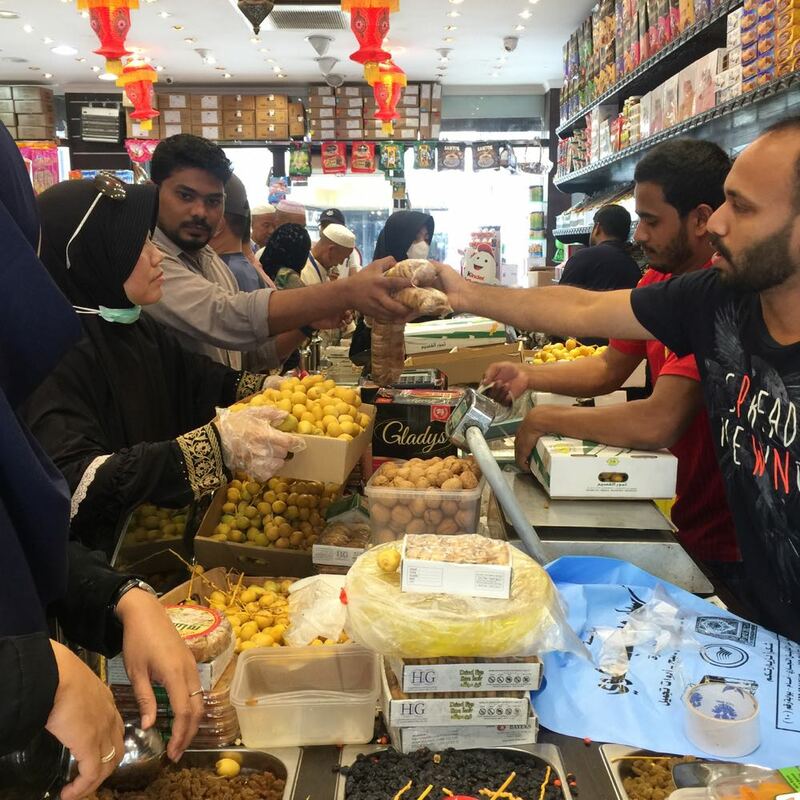 The residents today are mostly migrant workers and families with roots elsewhere – Yemenis, Bangladeshis, Pakistanis, Indians and Egyptians. 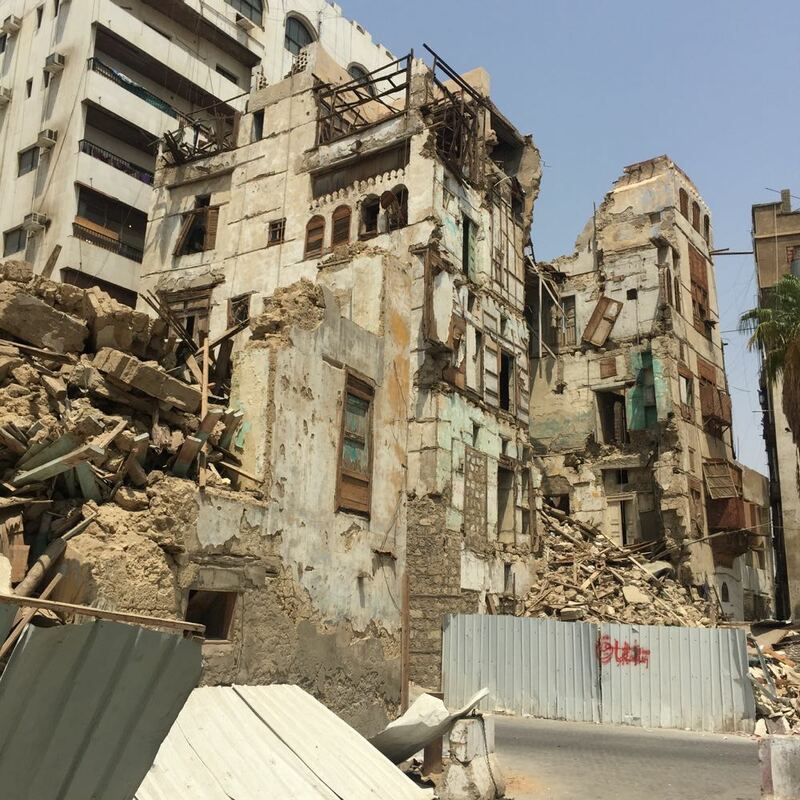 Sami Nawar, when we met in Al Balad, said that perhaps only four or five Saudi families remain. Many still own the buildings, but extremely few have chosen to stay. Sami Nawar himself was born in the area, but left with his family when he was eleven. 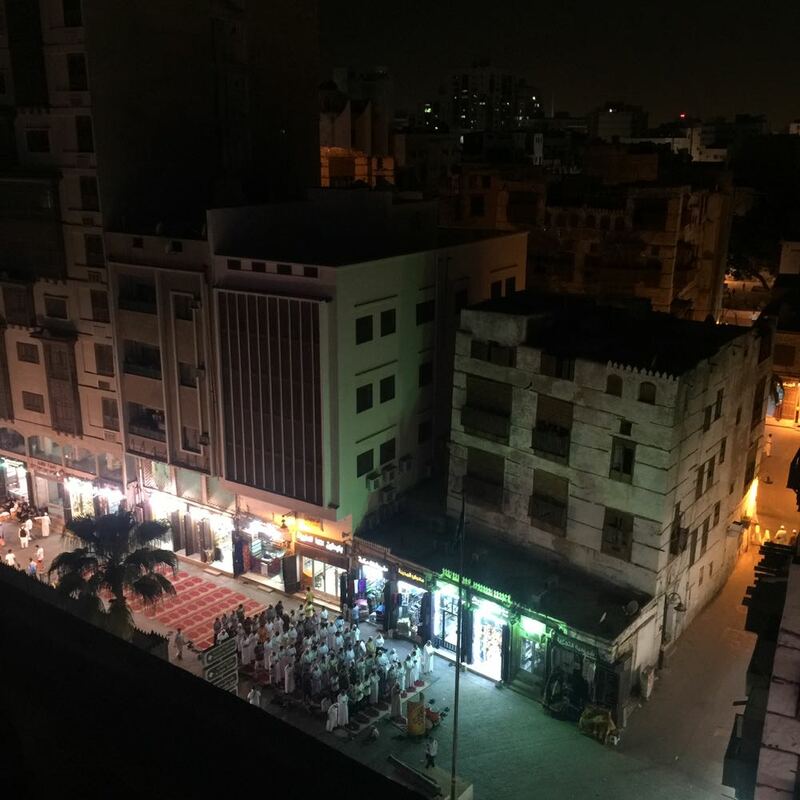 The rooftop where we met, overlooking the nightly surroundings, belongs to Naseef House, a building with a rich and fascinating history. 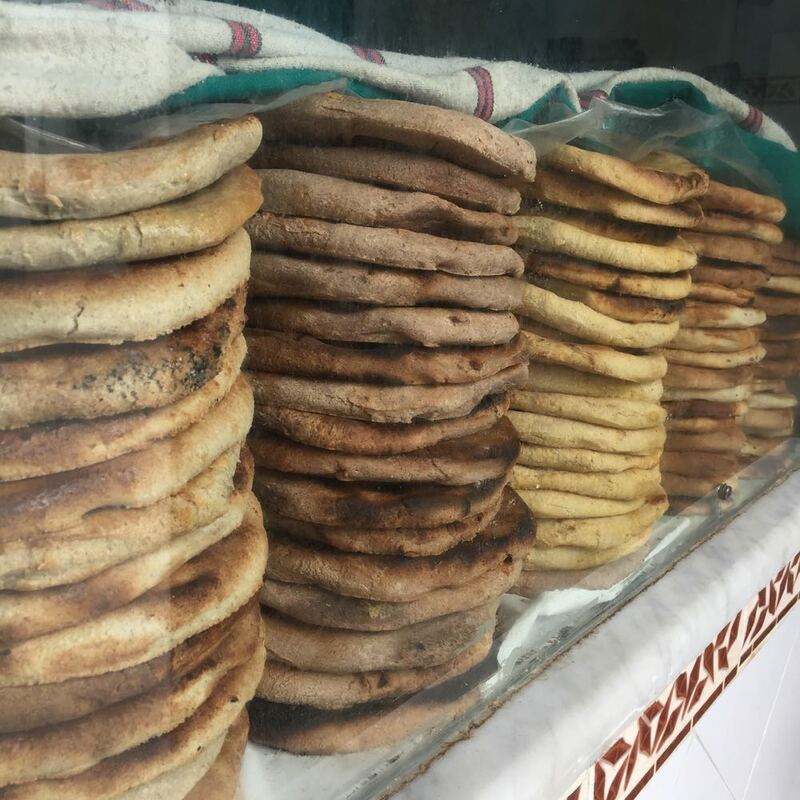 It was first built by the Naseef family, like many Jeddawis important merchants. 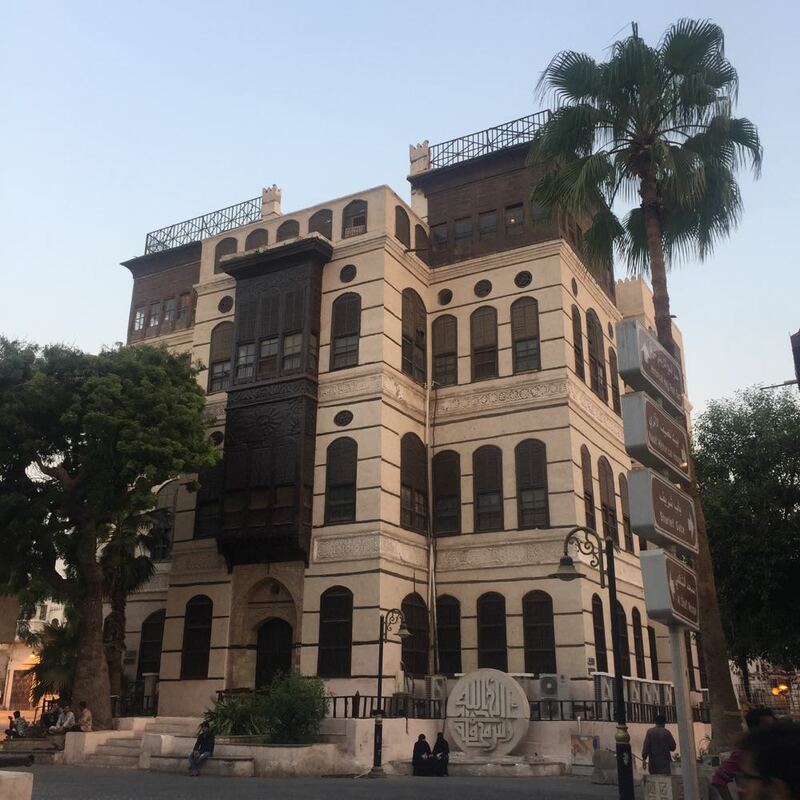 Throughout history it housed many important guests to Jeddah, and after 1925, when the city and its surroundings were incorporated into the new Saudi Arabian state, became a residence of king Abdulaziz Al Saud. 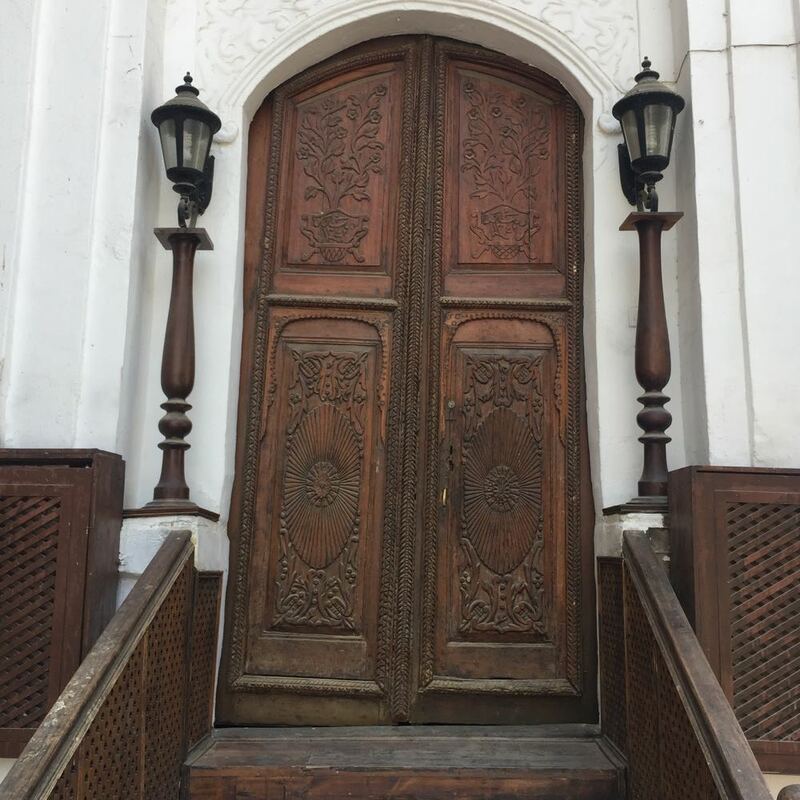 Today, the house belongs to the government, and has been carefully restored: its wooden details are meticulously maintained, and its interior preserved. 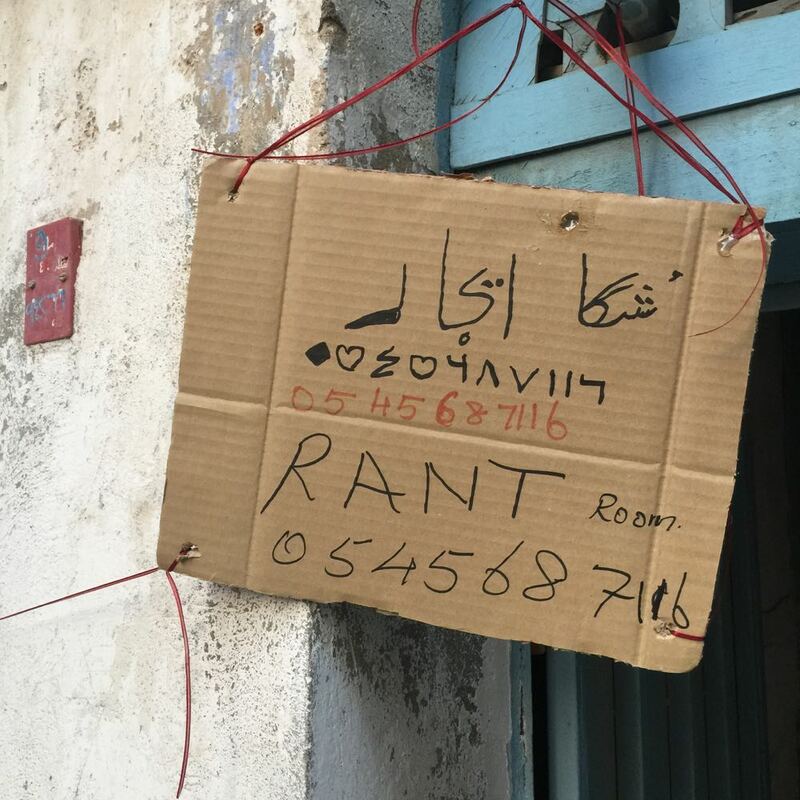 Naseef House, in the middle of Al Balad. 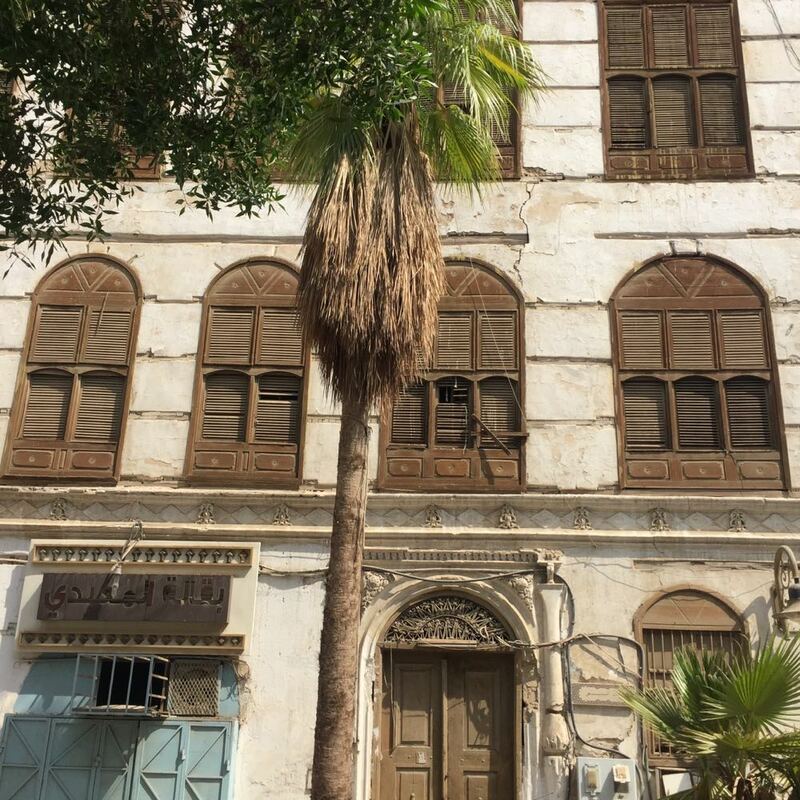 The tree outside was once the only tree in all of Jeddah – letters were sent to the Naseef family marked “to the house by the tree”. 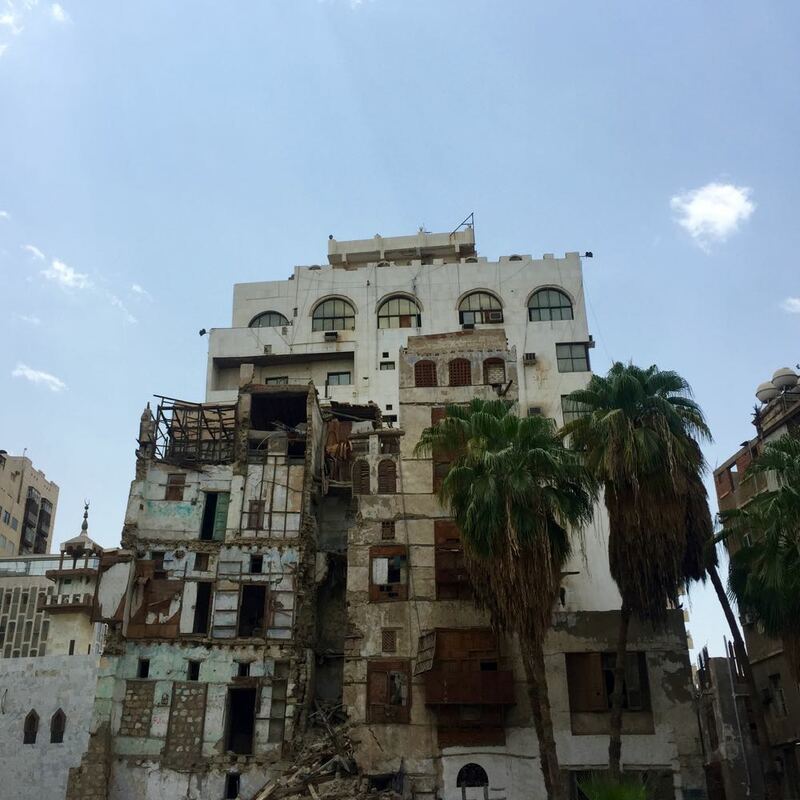 Many of Al Balad’s buildings are in much worse condition, though. 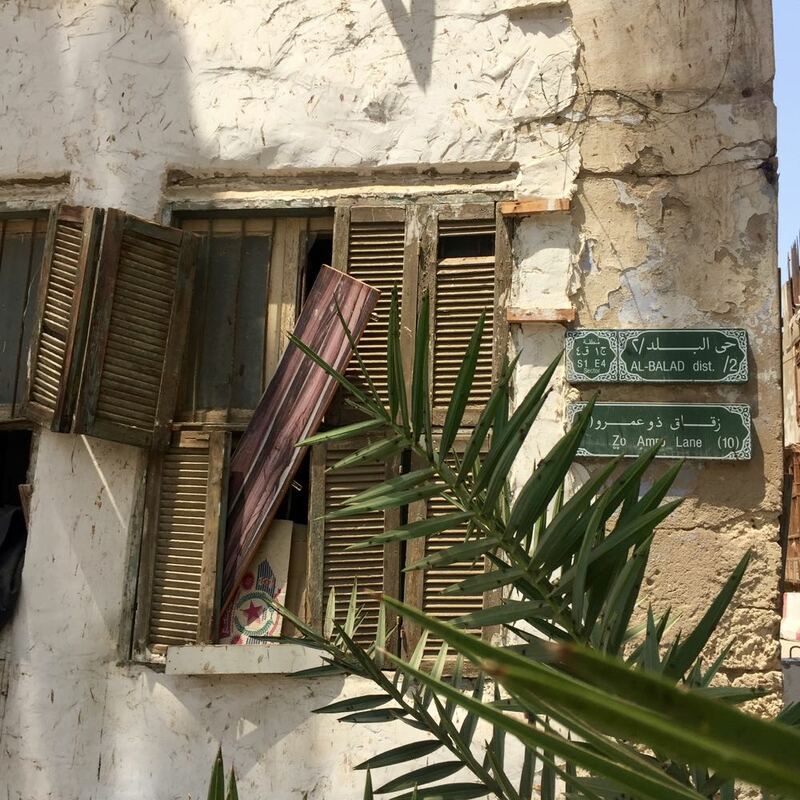 The neighbourhood is on UNESCO’s list of world heritage monuments, yet it remains in need of preservation. It’s a challenge certainly, to restore but not destroy; to give value but not push away that which lacks obvious monetary worth. Unfortunately, many buildings are crumbling – even though some of them have a beautiful worn charm, really functioning as monuments of time and change. 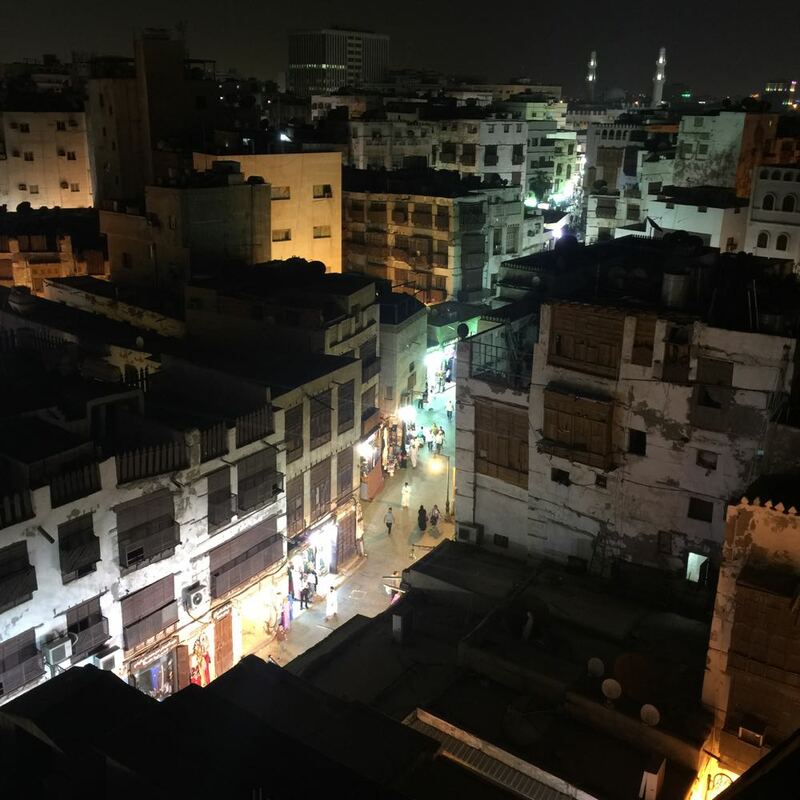 In history, Al Balad was surrounded by fortified walls, with openings in each direction. The walls are torn down now, but the names of these historical “babs” remain. 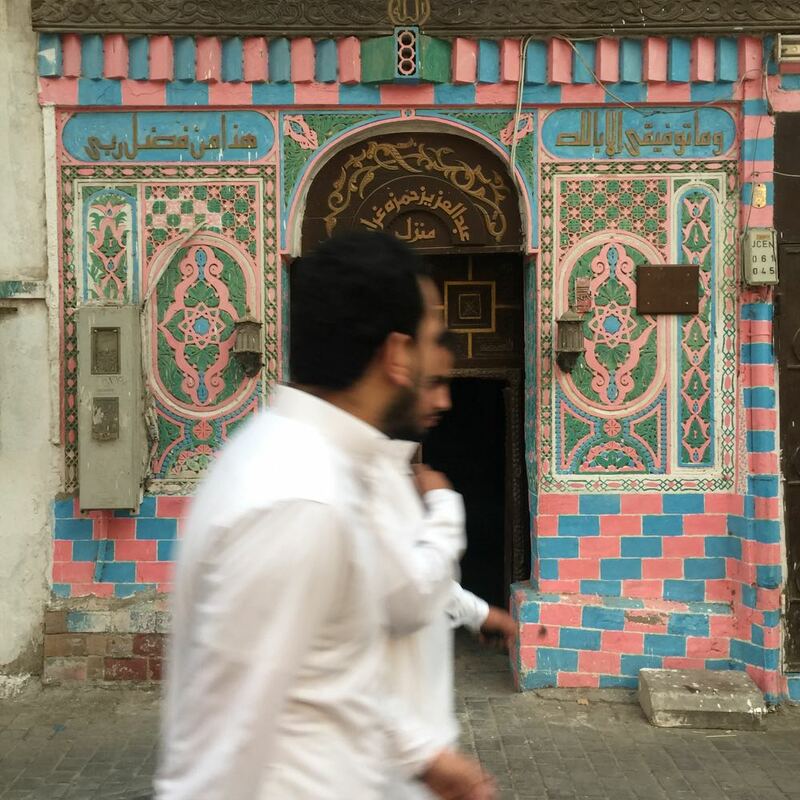 There’s Bab Mecca, the door to Mecca, and Bab Jedid, which is also called Bab Medina, opening up in the direction of Saudi Arabia’s second-holiest city and the burial place of Mohammad. 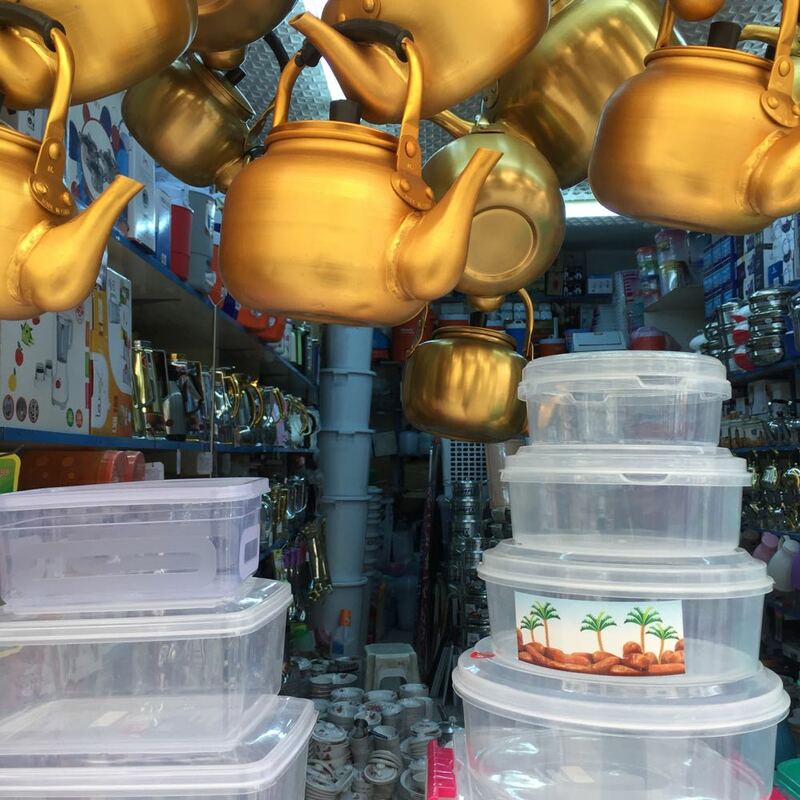 In between the different gates run busy streets and alleys, many of which form the network of Al Balad’s market. 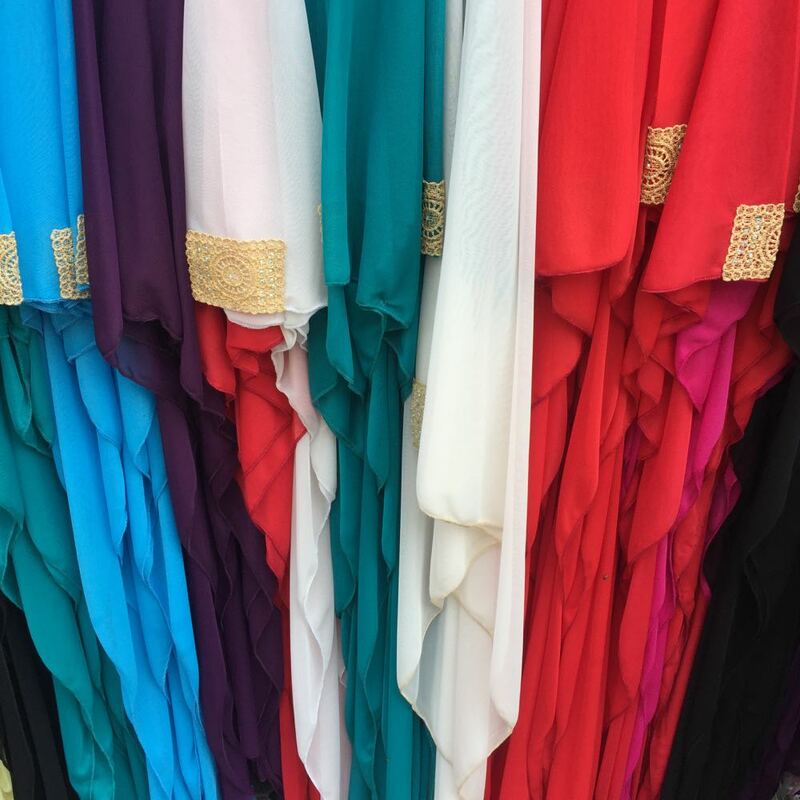 Traditional items like heavy perfume and prayer mats; spices, nuts and dates; are sold alongside an endless array of cotton or synthetic underwear, plastic toys and bottles of shampoo and soap. Pilgrims don’t ride through on caravans these days (or, rather, walk after having parked their camels at the designated points), but make a stopover en route to the airport north of Jeddah. 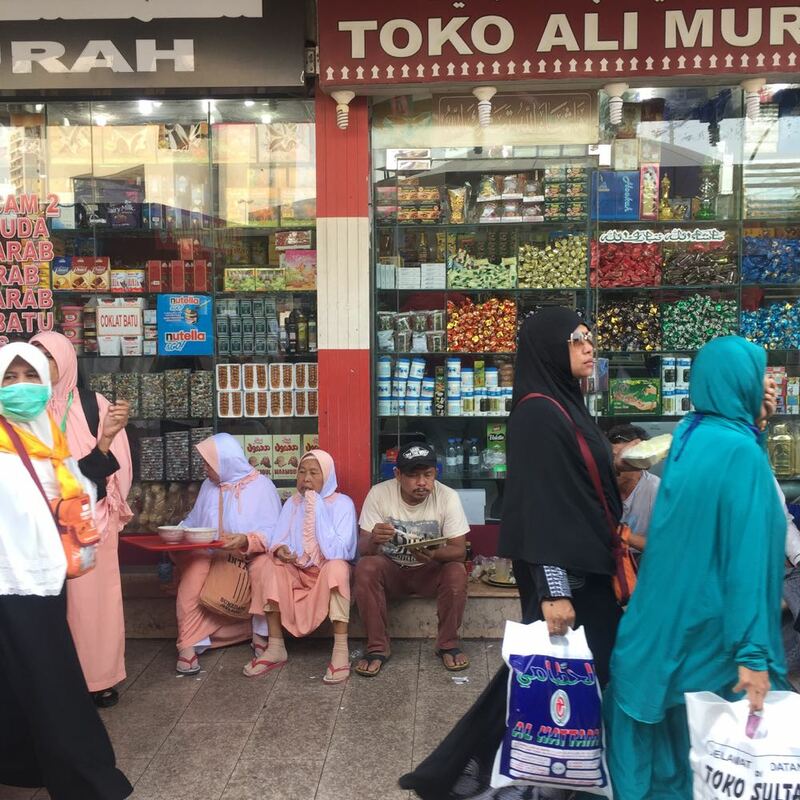 Indonesian and Ghanaian pilgrims, shopping for clothes and dates on the days after this year’s hajj. 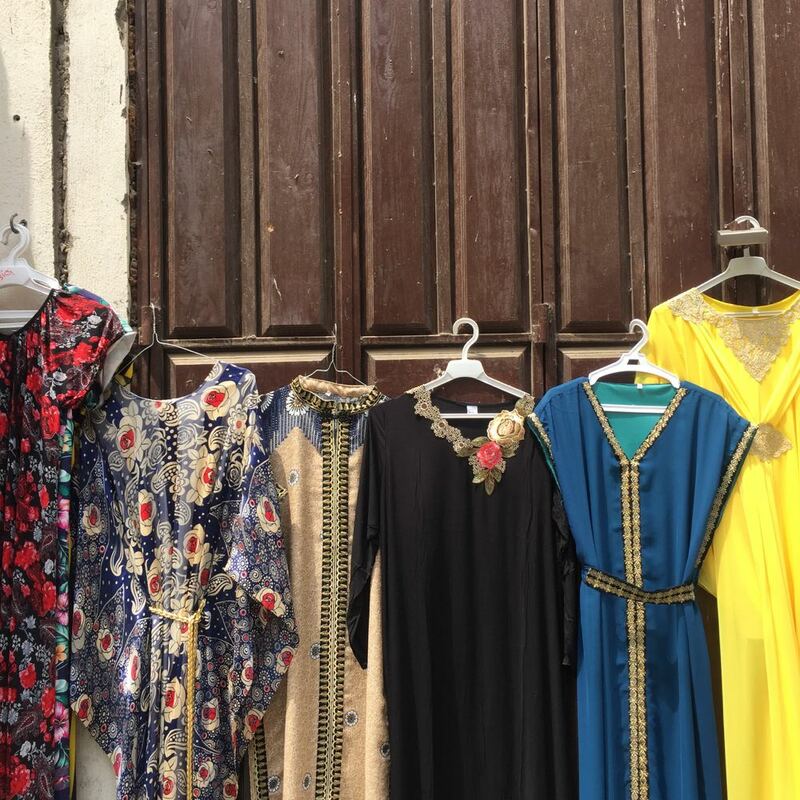 Golden details on Islamic wall hangings and colourful abayas, all for sale in Al Balad’s souk. 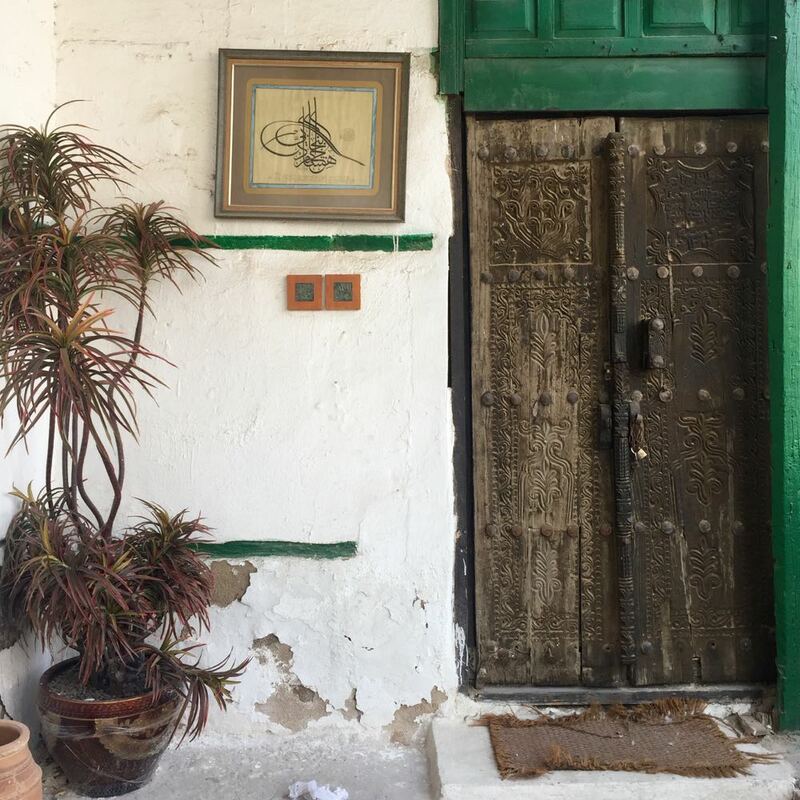 As the calls to prayer start and the darkness falls all around Naseef House, Sami Nawar says that once, he was up here with a report from BBC, and she started to cry as the muezzins voices broke the evening silence. ‘Google it and see, it’s on YouTube. BBC anchor starts to cry,’ he says. 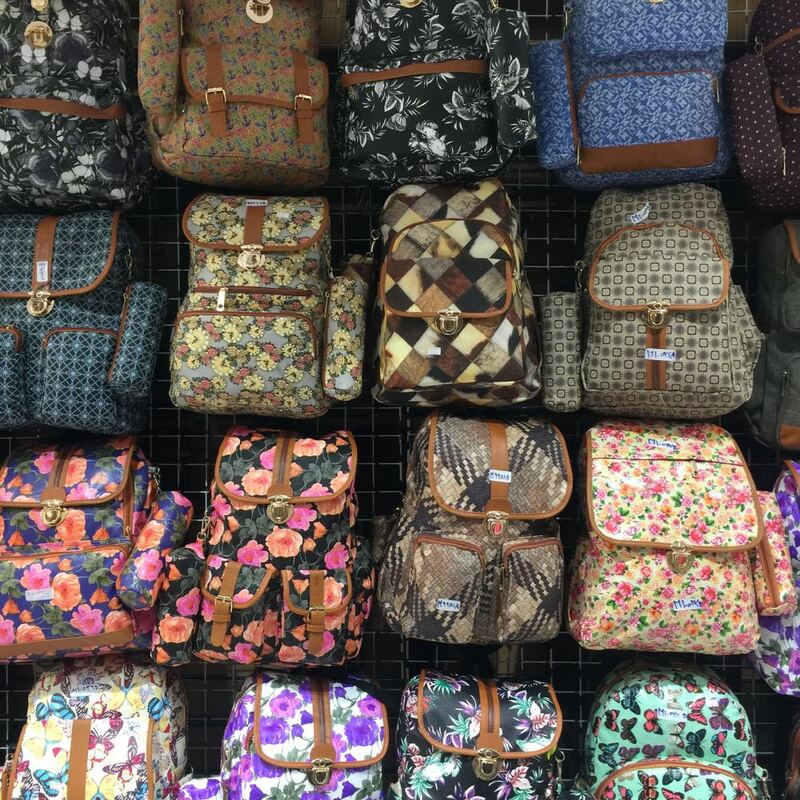 And true – tears or not, this is a magical place. In the middle of time, just like everywhere else in the world, but up here, to such a great and tremendous degree. People praying outside in the street, during maghreb prayer; to the right, the historical route leading to Mecca.